At the trial of seven secret police employees charged with destroying documents to hide their involvement in large-scale illegal wiretapping, the Special Prosecution alleged the secret police were obstructing proceedings. 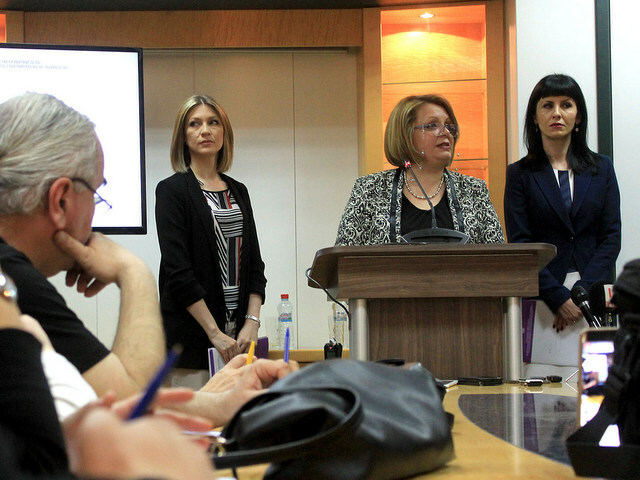 At the court hearing in the so-called ‘Fortress’ case on Tuesday in Skopje, the Special Prosecution, SJO said that the Macedonian Secret Police, the UBK, was protecting its employees by refusing to allow the declassification of data so it can be used as evidence against them. At the start of the trial in November, Skopje Criminal Court ordered the SJO to file a request to the UBK for the declassification of the data, but the Secret Police declined. “Not only did they refuse to declassify the evidence, stating that this will harm national security, but the UBK is also protects its employees who are charged in the Fortress case,” said SJO prosecutor Lence Ristoska. “They are charged in court and the Secret Police, instead of suspending them, promotes them to higher positions,” Ristoska added. Defence lawyers meanwhile asked the court to dismiss the evidence which the police refused to declassify. They insisted that the SJO should drop the charges due to a lack of evidence. “You want the UBK to declassify evidence and allow you to run a case which may reveal information about some terrorism case or something else, and to endanger national security,” defence lawyer Nikola Dodevski said in court. Prosecutor Ristoska however insisted that according to the law, information cannot stay classified if it contains evidence of a crime. Judge Lidija Petrovska suggested that the SJO should seek an opinion from the National Directorate for Security of Classified Information on whether the proposed evidence could be used selectively, only in the courtroom and without the public present. Meanwhile the SJO plans once more to demand that the UBK declassify the evidence. If its demand is refused again, the court plans to reject the evidence. The case codenamed ‘Fortress’ was one of two in which the SJO raised charges in September. If convicted, the seven UBK employees face up to five years in jail for “illegal destruction of documentation”. As part of a separate investigation, codenamed ‘Target’, the SJO has said it is looking into whether ten current or former UBK employees surveyed almost 6,000 telephone numbers between 2008 and 2015 without obtaining a court order as required by law. The current trial and the SJO’s investigations aim to reveal who was responsible for the mass illegal wiretapping operation that sparked Macedonia’s prolonged political crisis. Macedonia’s largest opposition party, the Social Democrats, claim that the former prime minister and head of the ruling VMRO DPMNE party, Nikola Gruevski, masterminded the wiretapping scheme together with his cousin Saso Mijalkov, the former secret police chief. But Gruevski has insisted that the covertly recorded tapes – which were released by the Social Democrats in 2015 – are part of a plot to destabilise the country orchestrated by unnamed “foreign secret services” in collaboration with his political opponents in Macedonia. The court set the next hearing in the Fortress trial for mid-March.